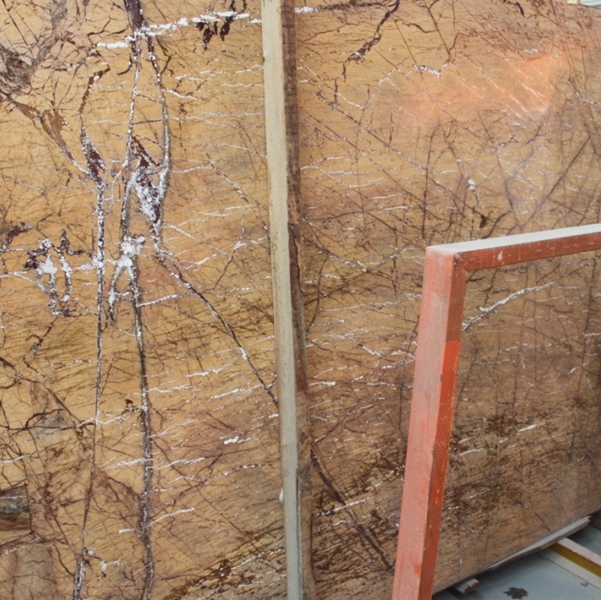 If you're interested in Rainforest Brown Marble Flooring Wall Tiles and Slabs, just feel free to contact us, we will keep providing quality products and excellent service for you. 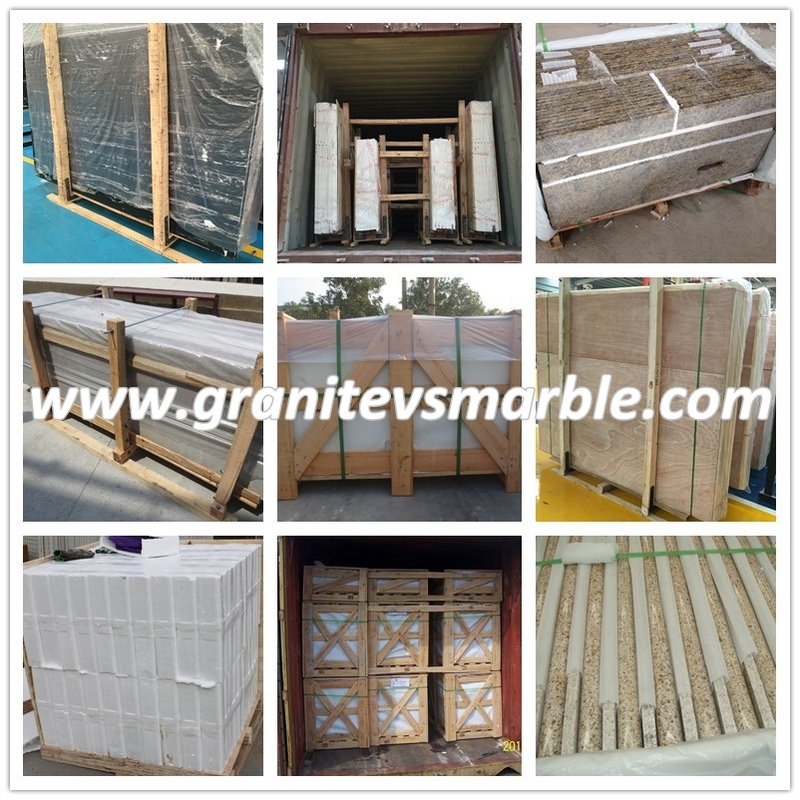 Looking closely at the structure of stone products in China, many years of high-speed development is based on the construction of export and building halls. The processing system is mainly large and medium-sized mechanical equipment. 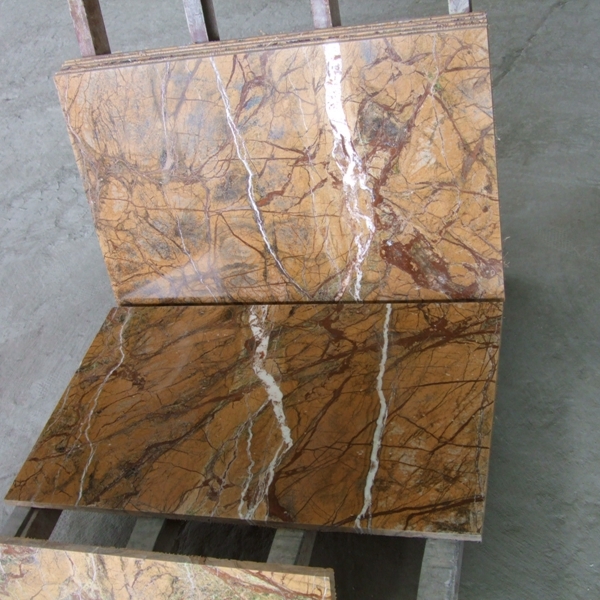 The products are mainly 2cm thick slabs and slats. This virtually made the product price high and the market single. In the process of sustainable development of stone trading, relevant experts have proposed. 1, adjust the thinking. Stone enterprises should adjust their production and marketing ideas in this economic crisis and work hard to overcome the above deficiencies. 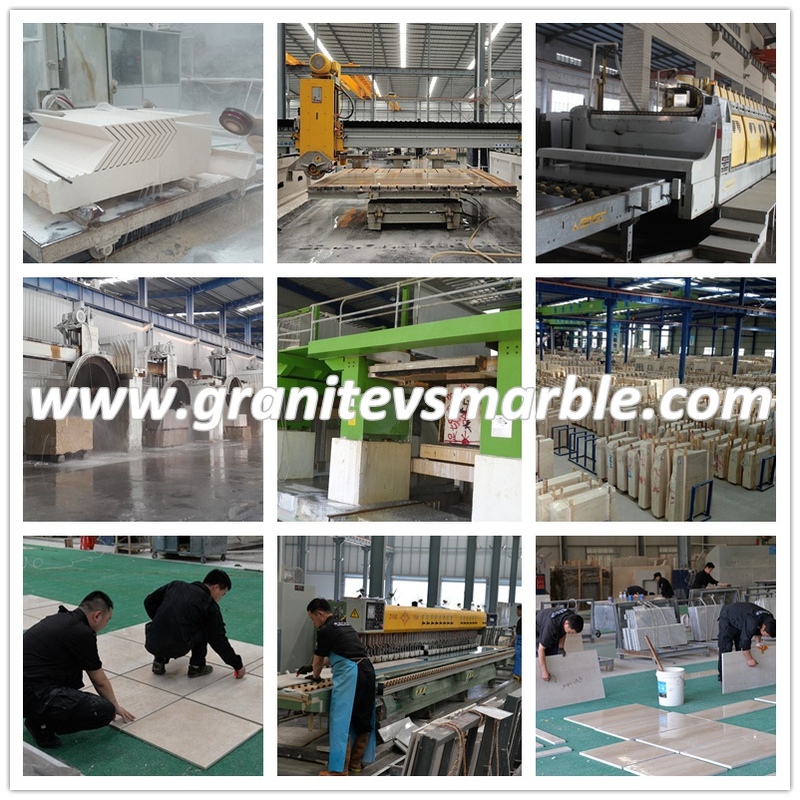 They should learn from the ceramic tile industry and produce small, thin stone materials suitable for home decoration and do “grassroots business”. If the small plate production line is built near the mine, it will be produced and operated by farmers. Stone company as a leader for quality control and product marketing. This will greatly increase the cost of production and make the product competitive in the home improvement market. This opened up the home improvement market for housing projects, post-disaster reconstruction, and rural and rural construction. At the same time, it also increased the local employment rate. 2, this kind of production and business model is more favorable. (1) Mine emission reduction and efficiency increase: Use of mine waste to improve resource utilization by about 30%. (2) Saving freight: The processing plant is built in the mine, which can save a large amount of block freight. (3) material low price: the advantage of using low scrap prices. (4) Small investment: The price of small equipment is low. 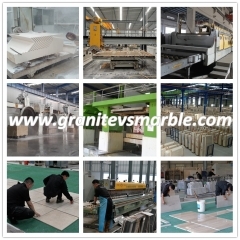 The requirements for the structure of the factory are not high, and the cost of capital construction can be saved. (6) Low labor cost: Rural wages are lower than in cities and farmers can take care of their families. 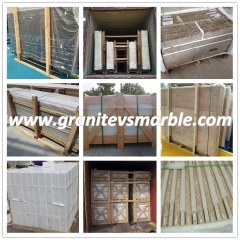 (7) Reducing consumption and increasing efficiency in marketing: Using the ceramic tile's packaging and marketing model as a reference, creating a brand, entering the building materials supermarket and home improvement market in batches. The above-mentioned advantages can greatly reduce the production costs, manufacturers and businesses have considerable profits, ordinary people can accept. 3, positive action. The implementation of this adjustment ideas, beneficiaries are: (1) stone machinery manufacturers. A new type of small-plate processing line requires a special block shaping machine to shape the blocks into a rectangular blank, a special multi-sawing saw, a small continuous mill, a special plate cutter and a chamfer edger. (2) Stone mines. The most desired mine companies are more discharges and less slag. This adjustment idea has solved this problem for the mine. Not all mines can be select.ed, but stone blocks can be processed. (3) Stone factory. The high prices and shipping costs, rising wages and benefits have also increased processing costs. The shrinkage of the export and engineering markets has led to the production of 2cm thick plates larger than required. The above adjustment ideas can solve these problems. A few days ago, Guiyang held a seminar on the development of the stone industry in Guizhou, and reached a consensus on the new economic growth point for Guiyang and Guizhou Province. In addition, in the second half of 2011, Guiyang will host the first China (Guizhou) Stone Fair. 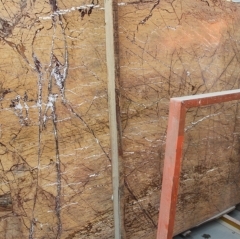 It is understood that Guizhou Province is an important marble producing area and has proven reserves of more than 3 billion cubic meters, ranking first in the country. 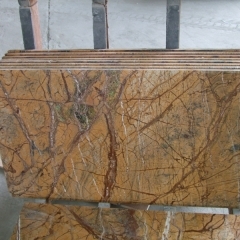 However, the stone industry in Guizhou Province has been relying on the sale of stone resources, no brand, no deep processing, no added value. According to the “Strong Industrial Province” strategy, Guizhou will strive to expand the scale of the industry, realize the development of clusters, and build a large domestic and international stone deep processing base. Delegates said that the demand for the world stone market will reach 500 million square meters by 2014 and will continue to grow. 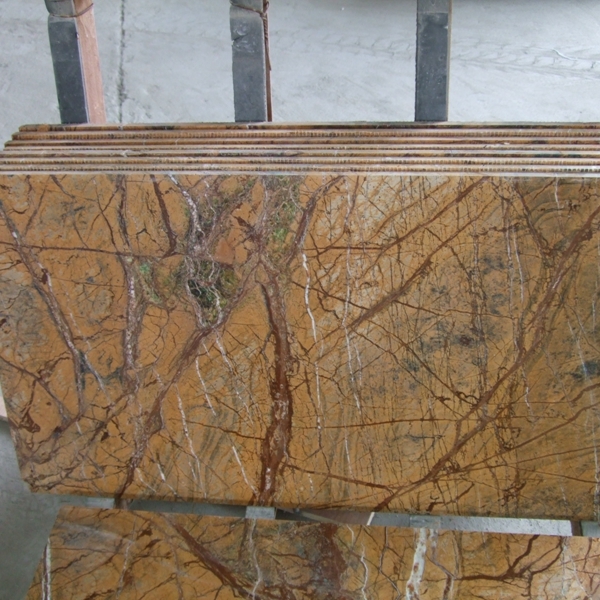 The strong market demand will make the stone industry a new economic growth point in Guiyang and even Guizhou Province. After the meeting, Guiyang Jinshi Stone Industrial Park signed contracts with nine companies and signed contracts for the second batch. Guiyang Jinshi Stone Industrial Park is one of the ten largest industrial (industrial) parks in Guiyang. At the end of the "Twelfth Five-year Plan," the total output value of the park can reach 15 billion yuan.